Mother Day | Have kids, they said. It'll be fun, they said. Mother’s Day. An interesting phenomenon. I mean, I think we all have ideas of what we expect to happen on mother’s day. 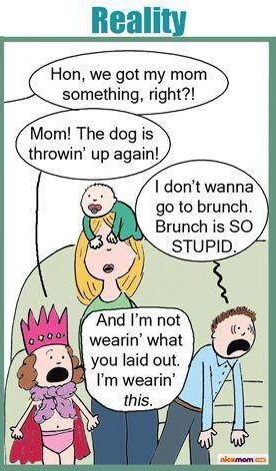 And then we have what actually happens on Mother’s Day! But, how much of Mother’s Day is based upon our expectations of the day, versus what we can realistically expect to happen? Let me explain – I would LOVE to wake up casually around, say, ten am. Wake up naturally (as in, not being woken up). I would come out into a miraculously clean house and sit down to a splendid brunch of fruit, bacon and eggs, french toast, eggs benedict, the works. My kids would shower me with love and affection, and gifts of everything I ever wanted but never actually vocalised to anyone. After opening my gifts, we would go out somewhere lovely for the afternoon and then return home to a home cooked meal. No housework, no responsibility for the day. Hang on – reading back, it seems that my dream for Mother’s Day is .. to NOT be a Mother for a day! But .. I love being a Mother. Don’t I? Colour me confused. Here is what happened on my Mother’s Day. I woke up at 9am. NINE AM. That is an insane sleep in in this house. How did I wake? Mr T calling me from work (he was at work from 4am), concerned that I hadn’t replied yet to the “Happy Mother’s Day” text he had sent at 7:30! Now, I’m not sure why my kids slept in this morning. I’ve no clue. Frankly, I don’t care. 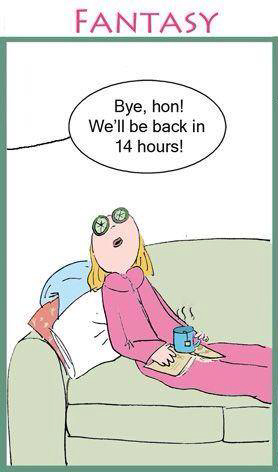 I had the longest sleep in I’d had for a loooooooong time, Mother’s Day or not! After we got out of bed, I decided to do nothing but enjoy my kids. No housework. We sat in our pjs and played on the floor. We somehow managed to be back in bed at around 11:30am! We had a really, really nice morning with no bickering, no fighting, no yelling. Just, being. I cooked myself bacon and eggs for breakfast, just because (bearing in mind that Mr T was still at work). Princess had made a Mother’s Day card at kindy so I sat her down with a pen and taught her how to write, “Happy Mothers Day” inside it. Then, I gathered the kids on the couch and filmed a tre adorable video of them saying, “HAPPY MOTHERS DAY, I LOVE YOU” to post on the Facebook pages of their three Grandmothers. Mr T got home at midday and surprised me with a bag of M&Ms (my ABSOLUTE FAVOURITE THING EVER). That is a win right there. Feeling particularly spoiled (don’t be jealous of my M&Ms please), I dressed the kids, said goodbye to my husband (who was off to bed, having worked half the night) and took them into town. My kids, they took me out for ice cream. Sure, I don’t eat ice cream, but I had a great time sitting with them as they devoured their kiddie-cones. We did a bit of shopping and then we went to the supermarket to buy ingredients for me to cook MY ideal meal for dinner. Oh, did I mention that I really wanted new gumboots as my Mother’s Day gift? Well, I found what I wanted in the supermarket, of all places. So, I got them. My cousin was coming for dinner so I did a quick tidy up when we got home (as in, shifted the house from “complete devastation” to “mild mess”) and then started on dinner. 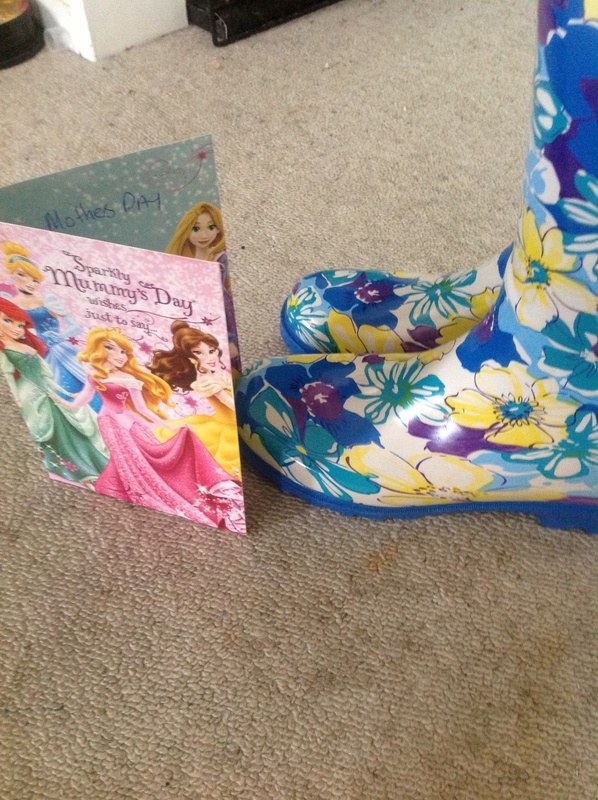 When Mr T awoke from his nap, I thanked him for the gumboots he had “bought” me that afternoon, and handed him the card Princess picked out earlier in the week and asked him to complete it for me. He got the kids to write in the card then sealed the envelope and handed it back to me with the gumboots. “Oh, wow!” I exclaimed. “You guys are so KIND!” I gushed. “Best Mother’s Day EVER!”. The kids giggled and kissed me and told me they loved me. Served my ideal dinner (chicken and bacon salad with blue cheese om nom nom) and had a cheeky glass or two of my favourite cider. Did the usual bathtime/bedtime chaotic routine with the kids, then settled in with my cousin and husband to watch our wedding video (that she had kindly been editing for us). I went to bed a happy Mother. 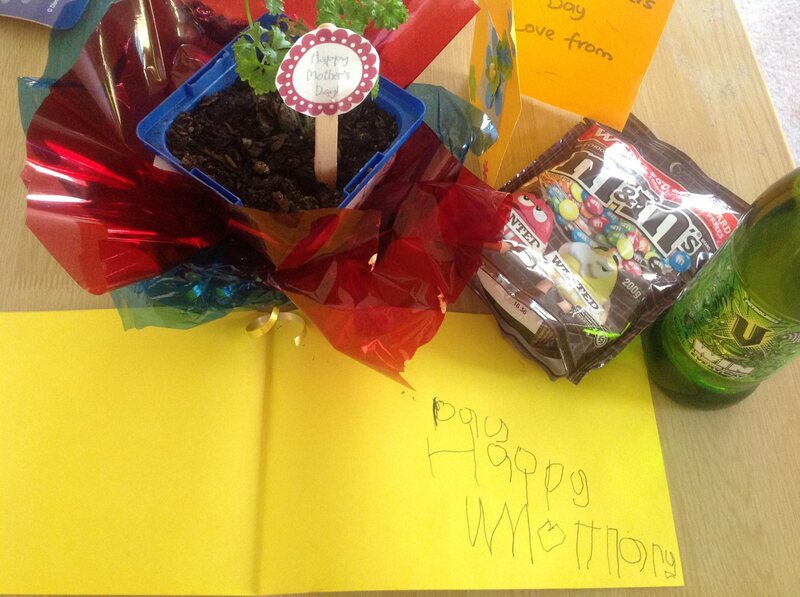 So, my Mother’s Day was a really, really nice day. Why? Because I made sure it would be. I didn’t sit around and wait for my husband and kids to make my day amazing, and then sit in despair because they aren’t mind readers and can’t tell exactly what I would want to do. Also, I didn’t stop being a MOTHER. Mr T surprised me in a way he knew would work (again, don’t be jealous of my M&Ms. Actually, it’s wasted energy, someone ate them all)(plot twist: it was me). And, the kids cuddled and kissed me and said they loved me. And, didn’t bicker much (I’m ignoring the moment when we went out for ice cream and Princess got BoyChild in a headlock because she wanted to press the lift button and he pressed it …).